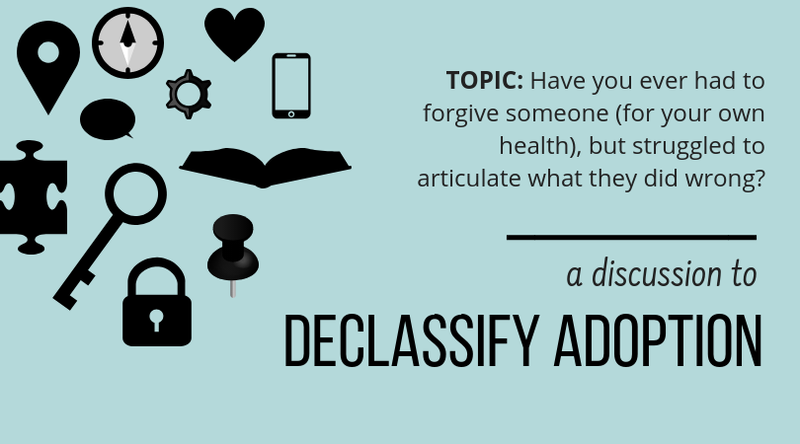 The Declassified Adoptee: Sharing Personal Adoption Details With Others: How Much is Too Much? Sharing Personal Adoption Details With Others: How Much is Too Much? What does this story have to do with information-sharing in adoption? Simply put, it exemplifies one of many parts of life that makes sharing a story (any story) with others difficult—the intersectionality of our experiences with the experiences of others. In this story, one event simultaneously made one woman a mother for the first time and another woman a grandmother for the first time. Whose story was it? Whose news was it to tell? This story is an opportunity to look the merge of two stories without the stress of considering adoption on top of it. Human beings are social beings and so much our stories are intertwined with the stories of those around us. It is the intersection of stories that causes curious people to ask our adoptive parents about our lives as adoptees. This is why “how much is too much?” has become one of the most frequently asked questions in the adoption community. This issue impacts each member of adoption in different ways. 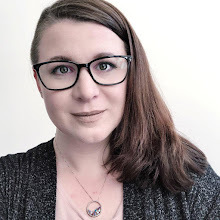 As an adult adoptee, I must consciously decide how to answer questions about myself, my immediate family, and my original and adoptive families. Likewise, fostered adults, original families, adoptive families, foster families all experience being asked something very personal and wondering what they should share or "how much is too much?" When I want to ask another person a question, I first ask myself three questions: What is my Relationship with this person, and how close are we? What is my Role in this relationship? What is my Reason for asking? For sake of brevity, I will put it like this. If I am not close with someone (relationship), do not hold a place in their life where we’d normally share personal information (role), and am asking out of mere curiosity (reason), it’s probably not a question I should be asking. Why is this so important? Finding ways to ask questions that are appropriate is about being respectful of the other person’s comfort within the space we share at that moment in time. You'll point out (and you'll be right) that curiosity is about learning--and learning isn't wrong. I wholeheartedly agree that those who live certain experiences should be in the forefront of educating others about those experiences. But know that this doesn't entitle me or anyone else to subject someone to a barrage of personal questions. There is a difference between being a gracious learner and someone who demands sensitive information in the name of learning. Yes, this is true even when you're addressing an adoption panel who have volunteered themselves to answer questions. Another person's curiosity is only half of the equation. Over-sharing also happens when we feel judged or misunderstood. It is easy to share way too much information when you want the other person to know that they're wrong and that they've hurt your feelings. I suggest the “three R’s” to parents and adoptees who ask me, "How much is too much?" If someone is not close to you (relationship), has no place in your life where knowing the information is relevant (role), and only wants to know for their own curiosity (reason)—they’re not entitled to a very personal answer. It matters because you, or your child, or your family deserve to feel respected and comfortable within the space you share with others. Sharing personal things often requires us to feel discomfort and expend energy. A reason for sharing personal information in a close relationship is that you will get energy and comfort from the other person in return who now has a better understanding of you. They are a part of the support system in your life. Wisely choosing how we share and expend energy is an important part of self-care. When it comes to writing, the reason for sharing certain things rises to the forefront. Is what you're writing about helpful to someone? Does it help you to share it? 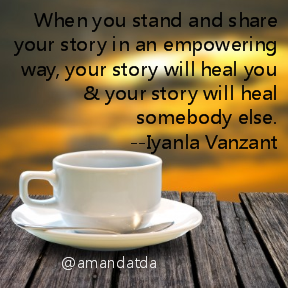 If a writer is sharing an adopted child's story--why? Is it necessary? And will it help the child? Would you appreciate it if this was your circumstance being shared about you? We must also remember that an adoptee's narrative belongs to the adoptee and they should have a say in what gets shared. Does the telling of the story honor the child's ownership of it? 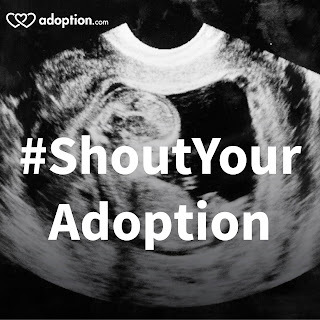 Addressing questions about adoption does not mean you must give specific details on a given adoption or a specific person connected to adoption. Someone may be asking you about an adoption experience as a way of learning about adoption in-general. They may very likely be satisfied with a general answer. Discerning the question about adoption that's beneath the very personal question directed at you or your child is as easy as asking, "Why do you want to know?" Pointing people to videos, blogs, and literature where others have openly shared their stories is another good way to answer a question without sharing something about yourself that you're not ready to share (or do not wish to share about your family member). When it comes to a child learning to share their own narrative with others, adopted or not, parents must provide guidance about what is wise and safe to be shared with others. My goal as a parent is for my children to speak about themselves in ways that are positive, strengths based, and self-affirming hoping they see themselves how I see them--the bright and beautiful children that they are.